For nearly a year, there has been quite a bit of buzz around new overtime regulations that the U.S. Department of Labor’s Wage & Hours Division proposed. They had planned to increase the minimum salary level required for employees to be considered exempt to $50,440 per year, making over 4 million more Americans eligible for overtime pay. The Department invited interested parties to submit written comments on the proposed regulations in order to receive public feedback to help shape the final rule. After receiving over 270,000 comments, the Obama administration announced the final overtime rule. 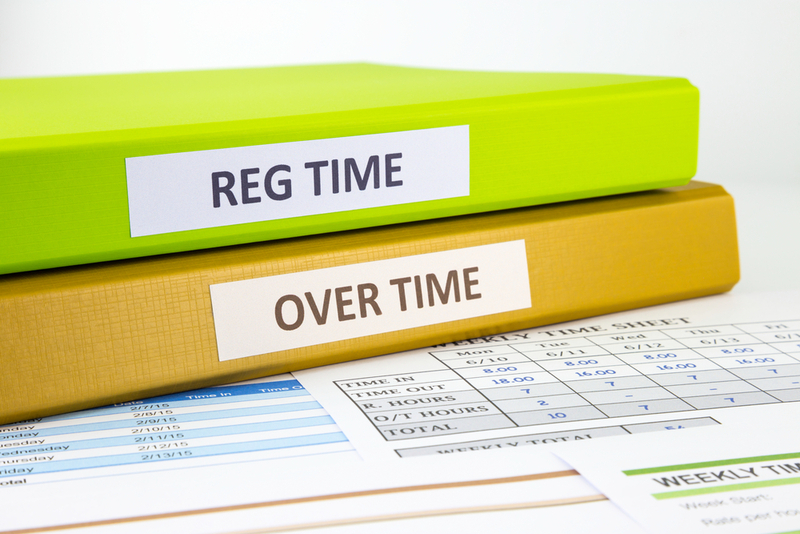 The new overtime regulations will go into effect on December 1, 2016. This gives hotels 6 months to prepare. Plan to not only give yourself time to adjust accordingly, but time to prepare your staff as well. Your employees will undoubtedly have questions and concerns about changes that might be implemented in your hotel, so it will be best to provide them with information on these changes before they go into effect. This will help smooth the transition. The new standard salary minimum for employees to be considered exempt and therefore eligible for overtime pay is $47,476 per year, or $913 per week. This is less than the proposed salary of $50,440 per year, but still more than double the current minimum salary of $23,660 per year. Do note that seasonal hotels that are open for less than 12 months, for example certain ski resorts, must still guarantee their salaried employees are paid $913 per week though they are not full-year employees. The new salary minimum will be maintained at the 40th percentile of full-time salaried workers in the southeast region, and it will be indexed every three years on January 1st to reflect this level. It is expected to rise to more than $51,000 on January 1, 2020. Nondiscretionary bonuses and incentive pay can satisfy up to 10% of the standard salary level. In order to qualify, these forms of compensation must be discussed with employees ahead of time, and not be unexpected. For example, you can present your housekeeping staff with an opportunity to receive additional pay if they meet a certain average MPR for the month of June and count that towards the salary minimum requirement. Surprise holiday bonuses, however, do not counts towards this requirement. Hotels and restaurants will be among the most affected by this new rule. Since a large portion of salaried employees in hotels make less than $47,476 per year ($22.83 per hour), this change will greatly impact labor costs and compliance standards. It is extremely imperative that hotels have a system in place to track employee hours. With a labor management tool like Hotel Effectiveness, not only can you track employee hours, but there are key features that help hotels to avoid overtime altogether. Stay tuned for our upcoming article -- we'll address what you should do at your hotel to prepare for the new overtime regulations. Should you buy a biometric time clock for your hotel? As technology continues to push forward, you (along with many other hoteliers) may find yourself wondering if you should upgrade your timekeeping devices to biometric time clocks. But is this the right investment for your particular hotel?